In the winter I like to make hearty, flavorful meals that are quick and easy; especially living in New England where we have harsh winters. When the snow starts to fall, drifting against my front door I go to my pantry looking for pasta. 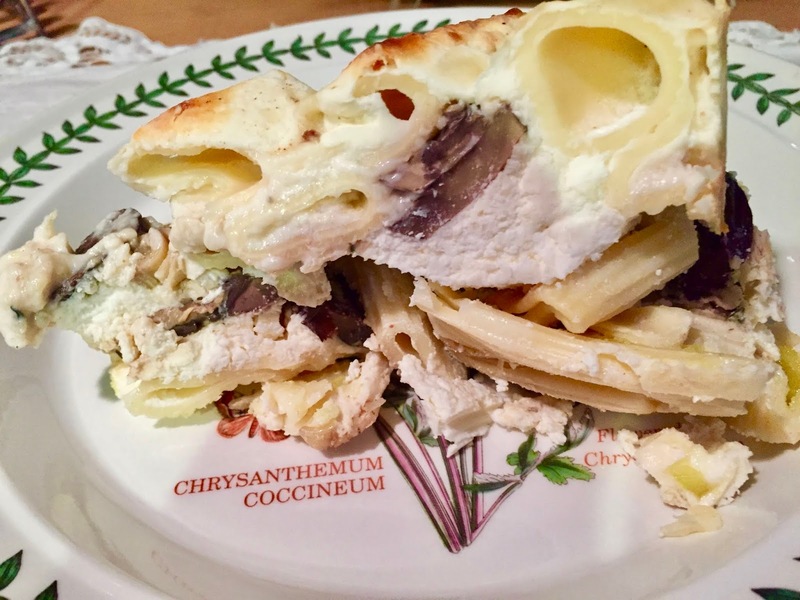 Instead of Lasagna noodles I used Rigatoni to make an easy Baked Rigatoni filled with mushrooms, cheeses and topped with a Bechamel sauce. 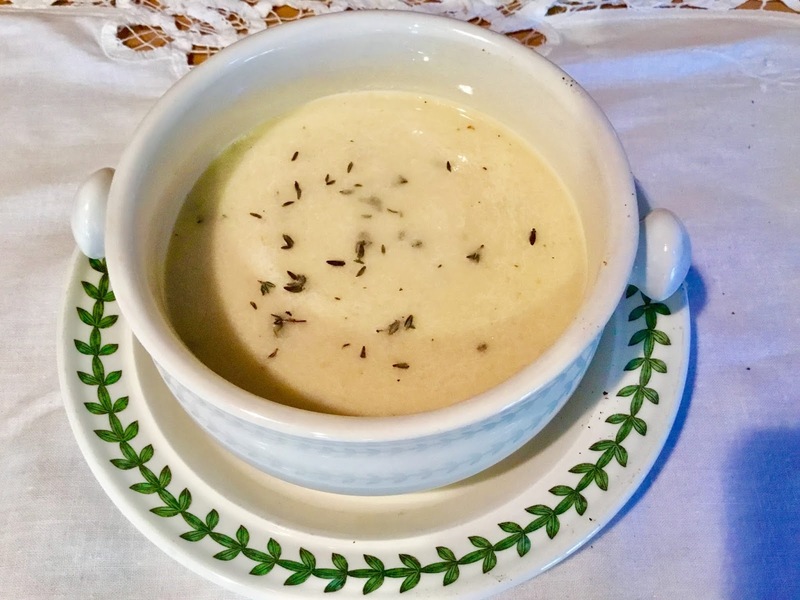 This is a basic sauce white sauce that anyone can make. Don’t let the french name fool you. Make a large salad arranging tomatoes, cucumbers, on endive lettuce. Top with feta cheese. Pour a light light balsamic vinaigrette over the salad. Serve with crisp fresh bread. And don’t forget a glass of wine! 8 ounces fresh mozzarella, divided in half. Heat 1 tablespoon of oil and 1 tablespoon of the butter in a large (12-inch) saute pan. When the butter melts, add the mushrooms, sprinkle with salt, and cook over medium heat for about 5 minutes, until the mushrooms are tender and they release some of their juices. Add sliced leeks and thyme. If the mushrooms are dry add another tablespoon oil. Saute for an additional 5 minutes to make sure leeks and mushrooms cook evenly Set aside. In a small bowel combine ricotta, 1/2 mozzarella chopped and 1/2 cup parmesan cheese. Set aside until assembly. Bring a large pot of water to a boil with 1 tablespoon salt. Add the rigatoni and cook for 14 minutes, stirring occasionally. Drain and set aside. For the white sauce, bring the milk to a simmer in a saucepan. Set aside. Melt 4 tablespoons (1/2 stick) of the butter in a large saucepan. Add the flour and cook for 1 minute over low heat, stirring constantly with a wooden spoon. Pour the hot milk into the butter-flour mixture all at once. 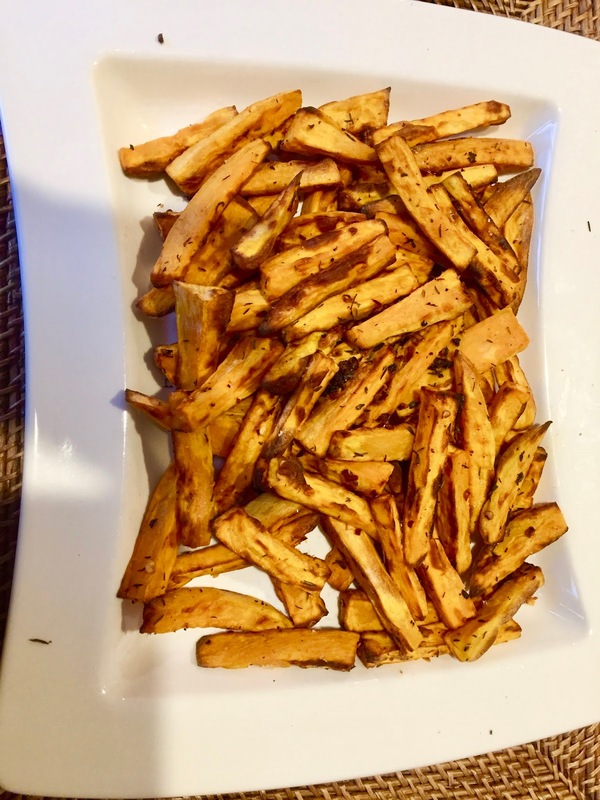 Add salt, pepper, and nutmeg, and cook over medium-low heat, stirring first with the wooden spoon and then with a whisk, for 3 to 5 minutes, until thick. Set aside off the heat. 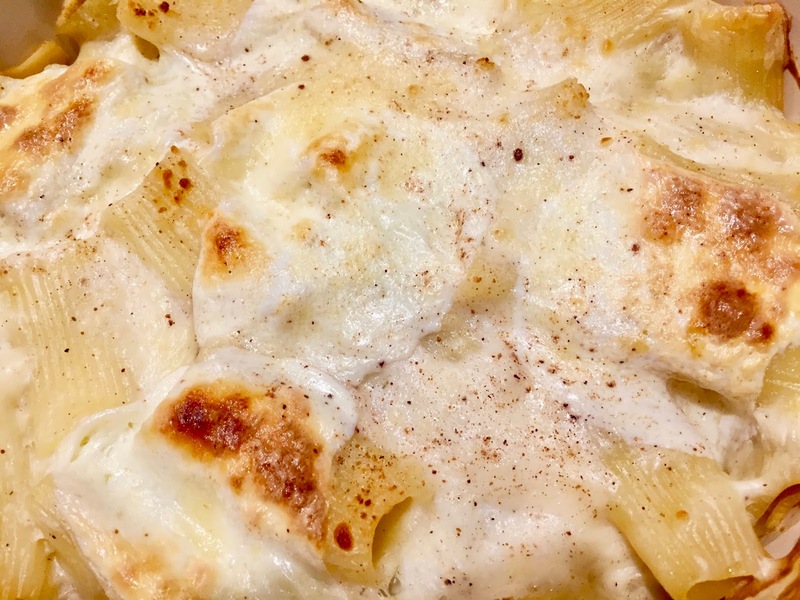 To assemble the baked rigatoni, spread some of the sauce in the bottom of a 8 x 10 baking dish. I used a Le Crueset dutch oven. Arrange a layer of noodles on top, then 1/2 cheese mixture topped with1/2 of the mushrooms, then sauce. Repeat 1 more times, layering noodles, cheese, mushrooms and sauce. Top with a final layer of noodles and sauce, remaining mozzarella, sliced and sprinkle with the remaining tablespoon Parmesan. Add a touch of nutmeg on top. Bake the lasagna for 45 minutes, or until the top is browned the sauce is bubbly and hot. Allow to sit at room temperature for 15 minutes and serve hot. I use Bruitoni pasta when I want the taste of fresh pasta but don’t have time to go to a speciality store or make the pasta at home. And I love this easy cream cheese pasta sauce for a quick weekend, taste delicious dinner. Don’t you just love the bright green asparagus? 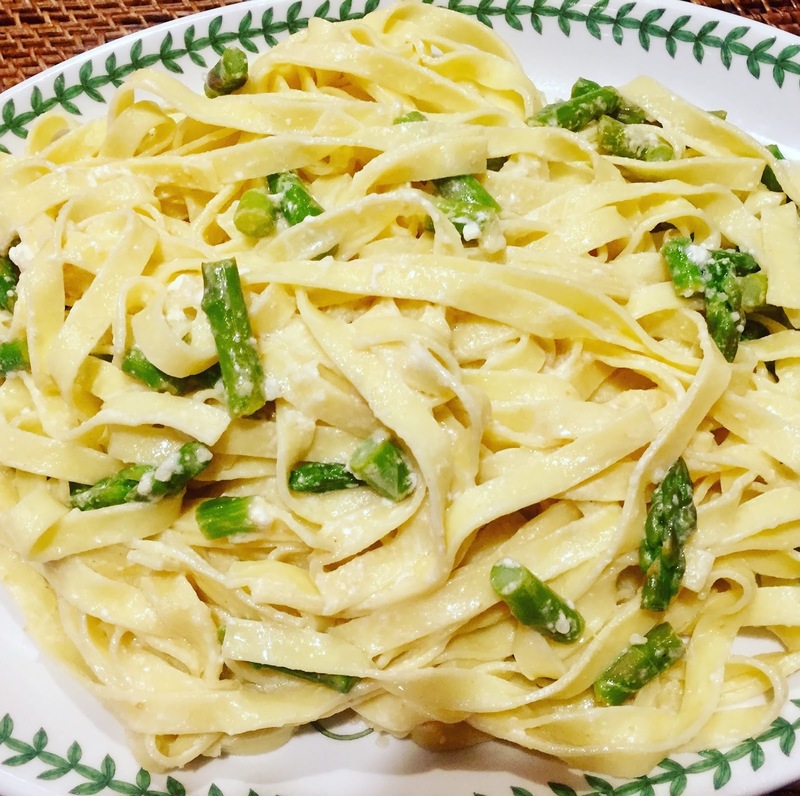 Lemon and asparagus the perfect springtime combination to add to pasta, so flavorful! 1. Cook linguine according to package directions in pot of boiling salted water. 2. Warm cream cheese, oil, and 2 Tbs. lemon juice in saucepan over low heat. 3. Drain pasta, reserving 1/2 cup cooking water. Stir reserved cooking water into cream cheese mixture. Add pasta, lemon zest, and parmesan cheese; toss to coat. Add asparagus and lightly toss again. Season with salt and pepper, if desired. Living in New England hot soup on a cold snowy day is the perfect accompaniment to a salad for a heathy filling lunch. I like to make soups that are flavorful and healthy. I altered the ingredients in this soup, using almond milk instead of cow’s milk. The almond milk adds just enough smoothness to the soup. I will warn you I love garlic. If you don’t want as much garlic you can add only four roasted garlic cloves: Roasted garlic has a more mellow flavor, not as pungent as boiled or sautéed. Heat olive oil in a large stockpot over medium heat. Add cauliflower, leeks, and garlic; sauté until the vegetables have caramelized (roughly 15 minutes). 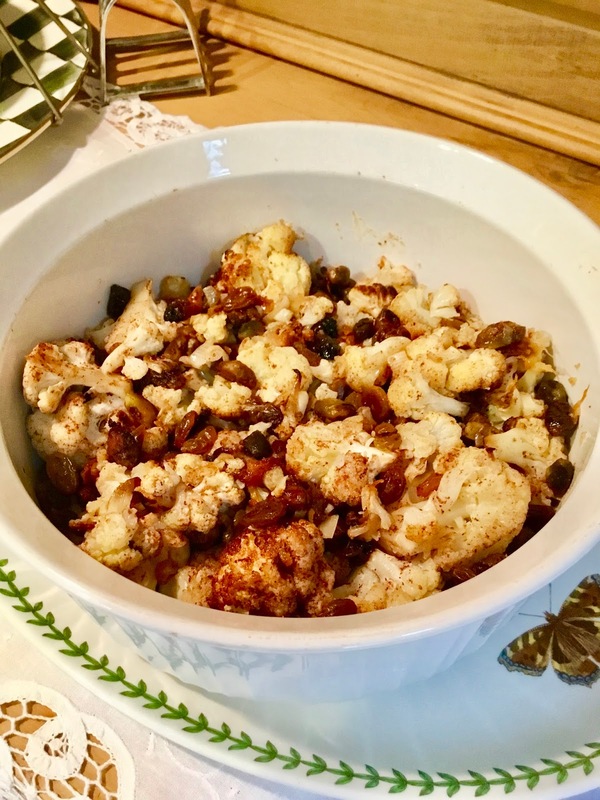 Add stock and reduce the heat to medium-low and simmer for about 20 minutes or until the cauliflower florets are soft and tender. Puree the mixture in a blender until smooth. Then, pour the soup back into the pot. Add salt, pepper, and thyme. Stir in almond milk and simmer for 1-2 minutes. * Preheat the oven to 400 degrees F. Slice off the top each head of garlic to expose some of the cloves inside. Place the heads on a piece of foil. Drizzle with olive oil and wrap in the foil. 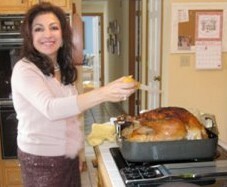 Roast until cloves are lightly browned and tender, about 30 minutes. New Year’s resolutions always include losing weight and eating healthy. Lentil soup is low calorie and high in fiber; both important for keeping your resolutions. 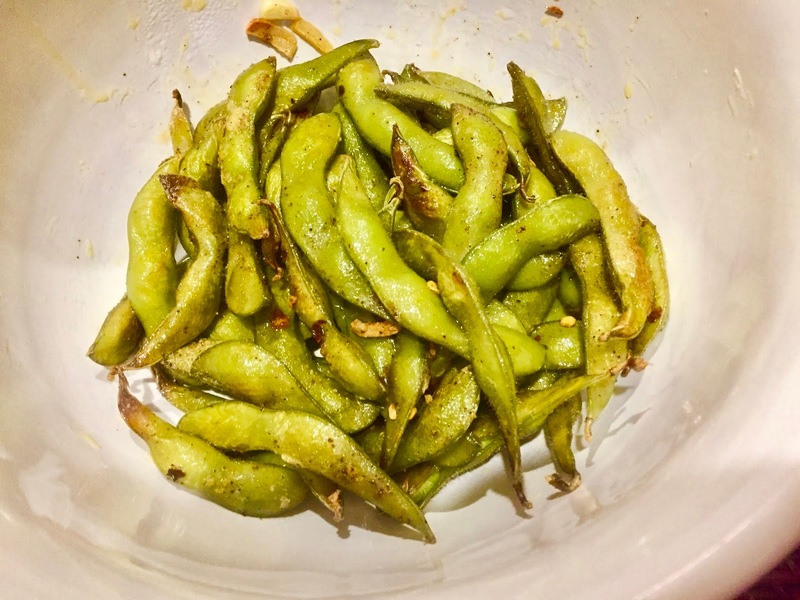 I like to add garbanzo beans for extra protein and roughage. If you’f like a more spicy version add a tablespoon of hot sauce. Put oil in a large Dutch oven heat medium-high. Add onion, celery, and garlic to Dutch oven. Cook over medium-high, stirring often, until softened, about 5 minutes. Add cumin, and cook, stirring constantly, until toasted, about 1 minute. Stir in carrots, lentils, garbanzo beans, broth, tomatoes, salt, and pepper. Bring to a boil over medium-high. 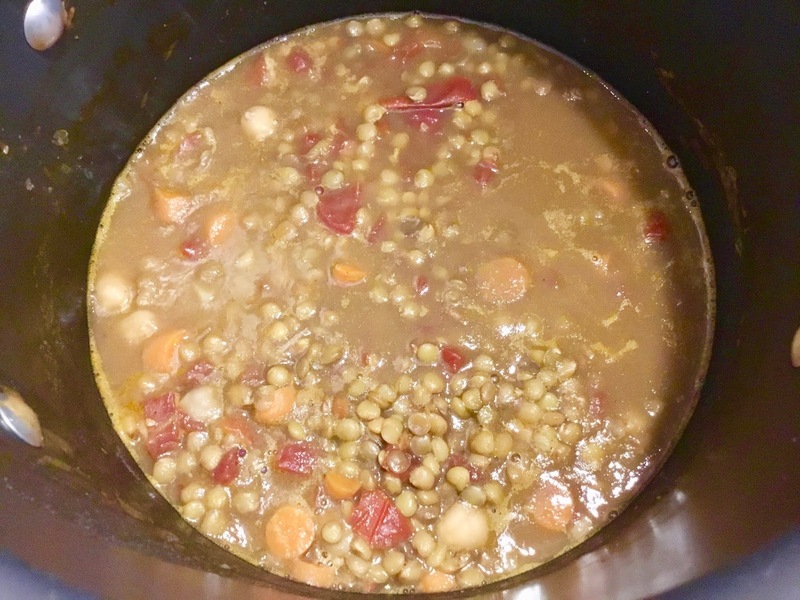 Reduce heat to medium-low; simmer until lentils are tender, 45 to 50 minutes. A good bowel of hot soup on a cold winter day, what better way celebrate the Winter Solstice. Add a crisp salad, fresh bread and a glass of wine perfect for celebrating the changing rotation of the earth. I always felt there was something mystical about a solstice reminding me four times a year that the earth and life are transient, ever changing and by embracing this fact life is perfectly imperfect. 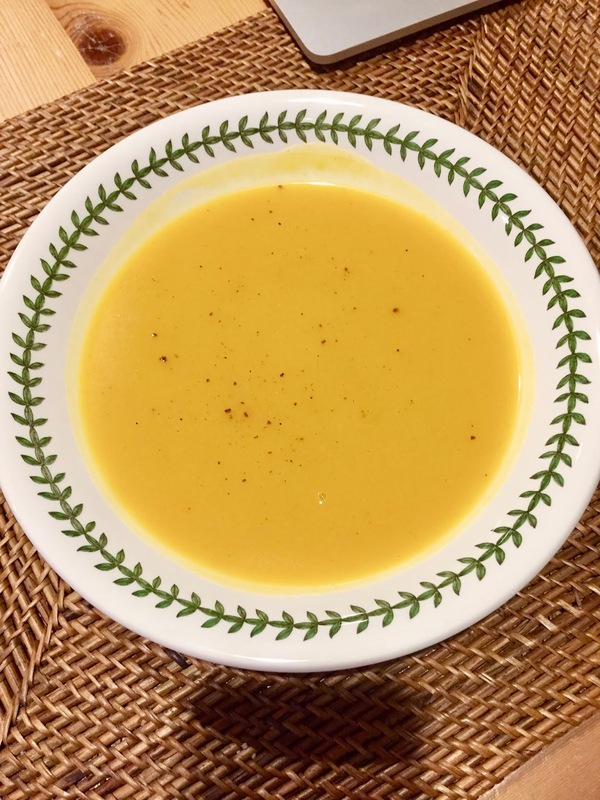 My recipe for Butternut Squash soup with a touch of apple captures the essence of the winter season with just a touch of aromatic spices that don’t overpower the squash and apple. I use store purchased cut and cleaned butternut squash when I make a small batch of soup; making the work and clean up easier. 1. Heat a large thick-bottomed pot on medium-high heat. Melt the butter in the pot and let it foam up and recede. Add the onion, carrot, and celery and sauté for 5 minutes. Lower the heat if the vegetables begin to brown. 2. Add the butternut squash, apple, and broth Bring to boil. Reduce to a simmer, cover, and simmer for 30 minutes or so, until the squash and carrots have softened. 3. Use an immersion blender to purée the soup, or work in batches and purée the soup in a standing blender. 4. Add cinnamon, nutmeg and cayenne. Add salt and pepper to taste. Place orange in a large saucepan and pour in cold water to come 1″ up sides of pan. Bring to a boil, then remove immediately from heat and drain orange in a mesh sieve or colander. Rinse under cold water; return to saucepan. Add cranberries, sugar, butter, cinnamon, allspice, and salt and bring to a boil, stirring to dissolve sugar. 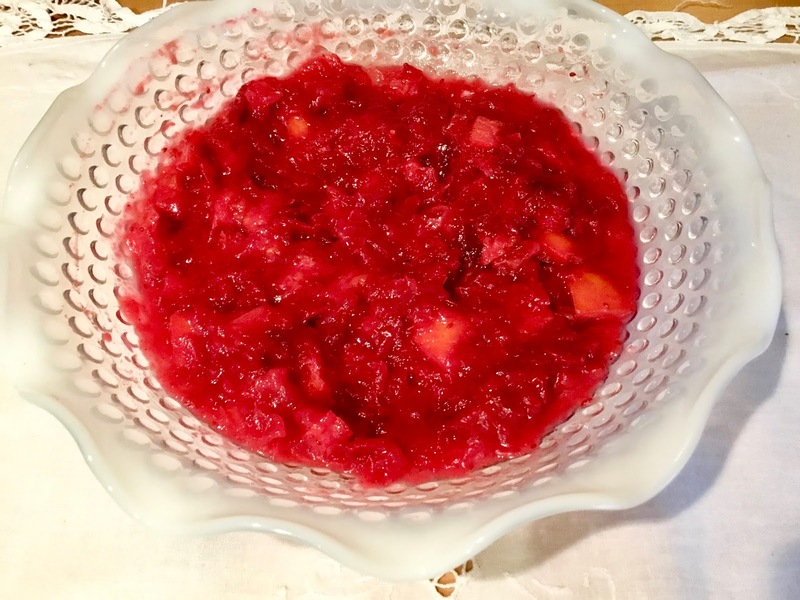 Reduce heat cook stirring often until cranberries burst, juices are syrupy, for about 9-12 minutes. Stir in Grand Marnier simmer for another two minuets. Remove cinnamon stick. and discard. DO AHEAD: Sauce can be made 1 week ahead. Cover and chill. 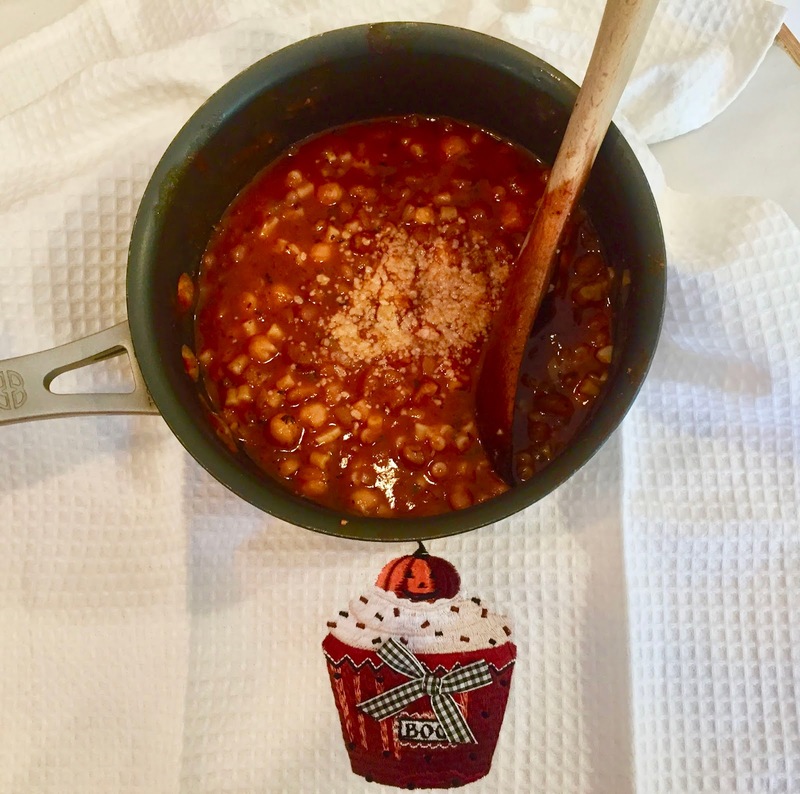 Traditional Pasta Fagioli is made with a pork product such as pancetta, ham or pigs feet(old time Italian) but growing up my mother always made meatless Pasta Fagioli on Fridays. I have fond memories of eating Pasta Fagioli on crisp fall nights before rushing off to a Friday night football game. Over the years I have added my own touches to my mother’s Pasta Fagioli to make it an easy totally vegetarian meal. 1. In large pot cook shallots, garlic and olive over medium heat for about 5 minutes, stirring occasionally. 2. 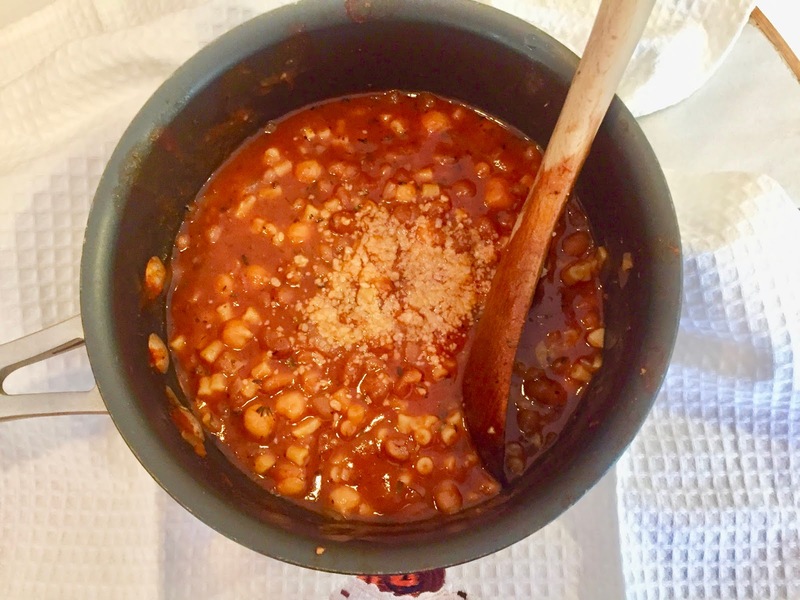 Sir in wine, baked beans, garbanzo beans, vegetable broth and crushed red pepper. Bring to a boil: reduce heat. Simmer, covered for 20 minutes. 3. Cook, pasta al dente(firm but not hard), drain. Stir cooked pasta, basil, oregano into bean mixture. Simmer for 5 more minutes. Make 4-6 servings. Serve with fresh graded Parmesan cheese on top.